Can I pay annually rather than monthly and save money? Get billed for Streamtime annually to receive a discounted rate. You have the option to be billed annually and save 10% on Streamtime when entering your payment details upon subscribing to one of our two plans. Head over to our Pricing page to check out the costs of Streamtime in your local currency. 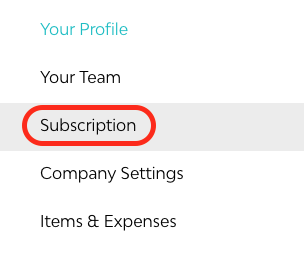 If you’ve already signed up and are subscribed to Streamtime, you can change your billing frequency in order to receive a 10% discount under Subscription in your account.